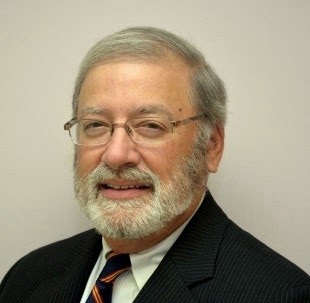 June 17, 2014 (Newton, MA)—PSMJ Resources is proud to announce that Arnon Garonzik has joined our dedicated and growing team of architecture and engineering industry experts. With PSMJ, Mr. Garonzik will be focused on bringing his decades of experience with mergers & acquisitions as well as ownership transition planning to our clients. We are excited to bring in a resource with Mr. Garonzik’s background. He served as the Chief Legal Officer of A/E/C service companies during the first 25 years of his career, including 10 years as a partner and in-house General Counsel of the Environmental Resources Management (ERM) Group, one of the world’s largest environmental engineering and consulting firms. During his tenure at ERM, Mr. Garonzik performed all the mergers and acquisition work required to build ERM’s extensive presence in the Latin America and Caribbean region, becoming the board chairman of every company acquired in the region and CEO of the region. In the course of his in-house legal and business career, Mr. Garonzik managed the acquisition of 14 companies and advised on numerous other M&A transactions, as well as consulted with A/E/C firms in the areas of strategic and operational planning, employee performance evaluation systems, and incentive compensation plans. Mr. Garonzik received his bachelor’s degree in Electrical Engineering from the University of Pennsylvania with a minor in business from the Wharton School. He also received a Juris Doctor degree from Villanova University School of Law and was a long-term member of the Pennsylvania law bar. Small-business owners are likely to be fielding offers again. So if you've been thinking of cashing in, it may be a good time to do so. But beware of lowball offers. Some buyers will hope to take advantage of owners’ weariness after the struggle of three years of a weak economy. · If you anticipate selling your firm, consider some steps that will enhance its value to prospective buyers. · Create an identity for the firm that is separate from any one individual. · Have a clear focus of activity and clearly defined markets. · Show consistent profit earnings. · Demonstrate consistent cash flow potential for the new owner. · Show a reliable amount of repeat work and clients. · How much the owner needs to comfortably retire. This has nothing to do with your firm. · Valuations more than two years old. Just because your design firm was worth $500,000 a few years ago, there’s no guarantee that it’s worth that amount plus inflation now. It may be worth more. Value is subject to current market conditions and past and potential profitability, not cost of living. · How much it would cost to replace the firm or build a new one. Replacement value is cost driven; firm value is market driven. · An offer from an outside buyer. Do your valuation first, then consider the offer. · How profitable you were 10 years ago. This is ancient history. · How much another firm sold for. Each seller and buyer is unique. · Book value. You’ll vastly undervalue your firm if you count on book value. staff, and others can contribute to your valuation. But they don’t tell the whole story of what your firm is worth at this particular time to a particular buyer. 1. Organize the interview process. One person (usually the would-be boss of the interviewee) should be responsible for orchestrating the interview. Before the interview begins, each interviewer should receive a copy of the candidate’s resume, guidance as to the purpose of the interview, and the scheduled time for the interview. A disorganized interviewing process is a definite turn-off and may cause the candidate to decline any offer. 2. Put the candidate at ease. Remove coats, roll up sleeves. Have a cup of coffee together. Exchange small talk. The more at ease the candidate feels, the more honest the interview process will be. 3. Arrange interviews with one or two of the firm’s best people who will be peers of the new employee. The purpose of this interview is to get into in-depth technical discussions. The firm’s top people will be able to assess the candidate’s technical knowledge. 4. Avoid standard interview questions. Standard questions test how well the candidate interviews, not how good an employee he/she would be. 5. The last person to interview the candidate should be the principal of the firm who oversees the group interviewing the candidate. The purpose of this interview should be to express the firm’s interest and sell the candidate on why he/she should work for the firm. This will greatly improve the odds of the person accepting an offer if it is made later. 6. Each interviewer should put his/her impressions in writing (see sample interview evaluation records). 7. The person who will be the applicant’s boss (if he/she is hired) should collect all the interview evaluation reports and determine if the firm wants to make an offer to the candidate. 8. By the time the firm has decided to make the candidate an offer, it should be 100 percent in the selling mode. Make the offer in person or by phone, being sure to take the time to sell the company while making the offer. Then follow it up in writing (see sample offer letter). It is not easy to be the best. It requires hard work and a boldness of action that defies normal practice. 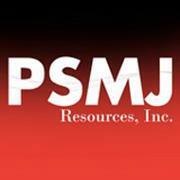 For 40 years, PSMJ has studied leading-edge architectural and engineering firms of all sizes, advising and consulting on all areas of business operations. We have discovered something that is both profound and apparent—that the most successful firms, those firms with the best practices, are fundamentally different from the average performers. Every year, at least half of the top 10 percent of firms in our PSMJ surveys were also top performers in preceding years. This gives us the opportunity to study them and identify what makes them so successful, and size is not a criterion. 1. Have a purpose with a vengeanceThe best firms have strong and visionary leadership, sometimes even dictatorial leadership. Although innovative and creative, these firms don’t place a particularly high value on design awards. They let their clients define quality. And they exceed promises made to clients. These firms have flat organizations with lean project teams and highly billable principals. The top firms are proactive in their marketing: They don’t wait for RFPs. They identify the clients they want to work for and develop tough strategies to capture them. Benchmark firms know that nothing else matters if the firm is not financially successful. Lump-sum contracts and incentive clauses are the way they do business. They manage cash. They keep on top of their receivables. They charge according to value provided, not cost incurred. They control costs, sacrificing neither the long term for the short, nor the short term for the long. Once they have clients, they don’t let them go. Principals stay very close to their clients and endeavor to know their business better than the clients themselves. Their goal is to establish such a strong relationship with clients that they get 100 percent of their clients’ work wherever in the world it occurs. The best firms push authority down to the lowest level. The project manager’s job is to make sure the client is ecstatic—and the firm makes at least the expected profit. These PMs stay on top of their jobs’ financials. The PMs that rise to leadership positions at benchmark firms are not just very good at managing projects—they also excel at selling all the services the firm has to offer to the client. They know their clients and exceed promises all along the way. When problems arise, these project managers don’t hide behind their desks. They take responsibility and communicate with their clients. They do not allow for surprises later on in the project. Firms that deliver services live or die by their people. Benchmark firms recruit only the best people to work for them. And they keep these best people motivated by giving them room to grow—these firms’ leaders are most often developed from within. These firms have lower than average turnover, though not the lowest. These firms invest in their top people—they really understand that people are their most important asset, and they act like it. And they don’t tolerate non-performance. Ask These Questions Before Your Leadership Transition! After a leadership transition is too late—you need to take every opportunity to prepare yourself before you make that big leap. We know that an ownership and leadership transition can be one of the most challenging (and stressful!) decisions you’ll make as a firm leader. So, to make it a little easier, we’ve compiled a list of questions to ask yourself—and your board—to make the seemingly unknowable a little more familiar. Be sure to write these answers down, not just answer them aloud—having them concrete on paper will make all the difference! 1. Describe how you pick future owners. 2. When was the last time you updated your firm’s buy/sell agreement? 3. How many owners are there? 4. Do you pay year end bonuses instead of paying taxes? 5. Do you pay dividends? 6. Has anyone ever quit and taken clients and/or staff with them? 7. Should partners count on “selling” their ownership as their primary source of retirement income? 8. Is there mandatory sale of stock? At what age? 9. What is an Associate at your firm? 10. What should be the ratio of owners to staff? Why? 11. Is there a difference between leadership and ownership? Which is more important? 12. Is your Board of Directors effective? Why or Why not? 13. Do you have outside Directors? 14. What generation is your firm? Does this impact how it operates? 15. When should partners leave? Why? 16. On what basis would a partner be fired? 17. Have associates ever quit and formed a competing firm? 18. Are children of founders good leaders? Why/Why not? 1. Too Small. Every firm has its fee floor for profitability. Below this limit, the firm, by its nature, cannot produce profits, as it will automatically invest too many resources. Turn these projects over to smaller organizations which will not compete with you on larger projects from that client. 2. Too Large. Any project which represents a significant portion of a firm’s annual gross is too risky for the firm. If that project is a failure, will the whole firm risk failing? Instead, consider participating in a joint venture. 3. Wrong Client. Do not accept work from a client who is wrong for you. That includes: financial instability, litigiousness, unreasonable expectations, or even conflict of personality. 4. Professional Liability Risk. Certain types of projects are high risk. Asbestos connected, hazardous waste, rehab and condominium projects may all carry high liability potential. Evaluate your risk before accepting such work. 5. Expertise. Do not accept work which calls for expertise which you do not have. You may be unable to meet the client’s expectations or will probably subject yourself to unexpected costs. Are You a Networking Pro? Take Our Quiz! Clients are the key to any Rainmaker’s success. Sometimes we make our jobs hard by focusing on the new, potential owner, rather than looking at the source we have right under our nose – our existing clients (check out our upcoming free webinar about how to leverage the loyalty of your existing clients to win new clients). 1. Are your relationships a two-way street or are they all about what you want? you get and be enthusiastic about it. Business associates who develop into friends are the best networking source out there. 2. How knowledgeable are you about your networking contact’s business? This is the only way to really recognize a potential lead for someone else when you hear about it. Find out as much as possible about those you’re networking with! Talk to them/e-mail them about potential situations where you might hear about leads of interest to them. Make sure people understand your business as well. 3. Do you always do your best for those in your network? Networking is not an “I did my part, now it’s your turn” philosophy of doing business. Always make a sincere effort towards those in your circle. You may produce three leads to your partners’ one, but the only way to successful networking is through your best effort. Always have a sense of urgency and obligation. Those you’re working with will come to see you in those terms as well. 4. Do you show gratitude? After receiving information, be sure and follow-up with a thank you. If you get the job, take your network partner to lunch (or, if they’re not local, send them an appropriate gift). Effective networking requires appreciation and recognition. 5. Do you maintain trust with your network partners? Always determine the confidentiality of information you receive. Never share information provided by a contact with his or her competition. Always ask permission before using your contact’s name as your information source. 6. How much time are you willing to invest? An effective network can’t be built without spending significant time doing so. Gaining a contact’s trust and developing a system of mutual assistance can’t be developed in a few days. Keeping in contact with your networking sources on a frequent, regular basis is the only way to ensure success. Be prepared to also spend time selling your contact’s services as well. Helping someone else sell is the greatest form of assistance in business networking. Even 15 minutes a day on LinkedIn can tremendously help in the growth and maintenance of your network. 7. How many owners are part of your network? owners per targeted market sector that are trusted confidants (not just “connections”) as part of your network. Six Ways to Start Generating More Cash Today! Take a look at the following cash-generating techniques. These six tactics may be simple, but they’re extremely powerful. 1. Pursue accounts receivable. Phone clients who don’t pay and schedule a sit-down meeting to discuss outstanding invoices and establish a payment plan. 2. Attack work in process. Don’t hesitate to bill clients—-even if their projects aren’t going well. Tie payment to a prearranged monthly schedule, not project cost accounting or percent of work complete. 3. Get paid for changes. Prepare a change form, require authorization of every change, and bill the client right away. 4. Get paid in advance. Ask every client to pay in advance on all new contracts, or on phases of existing ones. At a minimum, ask for payment in advance for all expenses. 5. Stop work on losing projects. Assign principals to rapidly finish losing projects. And don’t make changes to them unless you know you’ll be paid. 6. Separate invoices for reimbursables and fees. Consider using three invoices instead of including reimbursables in the monthly payment agreement. Generate an invoice for subconsultants, an invoice for reimbursables, and an invoice for your regular monthly payment.